With the objective to bring together the growing and industrialized economies of the world and to discuss the global issues, the G-20 or (Group of Twenty) was formed on 26 September 1999. The members consist of 19 individual countries and European Union (EU) represented by their respective finance ministers, foreign ministers, head of the governments and governors. The forum’s foundation agenda is to discuss about the policies that promote world financial stability. The multiple groups which are; youth (Y20), civil society (C20), business (B20), labor (L20) provides the framework for the discussions held in this forum. Few of the influential members include European Union, United Kingdom, United States and China while others include Argentina, Australia, Brazil, Canada, China, Germany, France, India, Indonesia, Italy, Japan, Mexico, Russia, Saudi Arabia, South Africa, South Korea and Turkey. The G-20 2018 held from 30 November to 1 December in Buenos Aires, Argentina was the 13th of the G-20 summit held. It was the first one to be hosted in South America and was chaired by Mauricio Macri, the current President of Argentina. The theme for the same was -‘Building consensus for fair and sustainable development’. This gathering is considered to be the most fruitful in arriving at a consensus for the economic crisis in comparison to previous G-20 gatherings. The host country put forward a three point priority agenda which are: the future of work; infrastructure for development and a sustainable food future. The attending countries have also stated that they will focus on regulation of cryptocurrency at the meeting. The Summit’s main agenda also included the negotiation of the trade war between U.S. and China. Trump fixated on the fact that U.S. will impose tariffs on import even if China doesn’t. The signing of the North American Free Trade Agreement, which was agreed by Canada and Mexico was also scheduled to be signed in the G-20 meetings. The scope of G-20 has been widening since its formation. The agendas have expanded from core economic and financial issues to sustainable development, women empowerment and digitization. The membership of the forum has been increasing and it is almost a tradition to invite more and more non-member countries with every summit. The Presidents and other ministers of respective countries interact with the respective engagement groups which promotes a fact based discussion in the summits held. 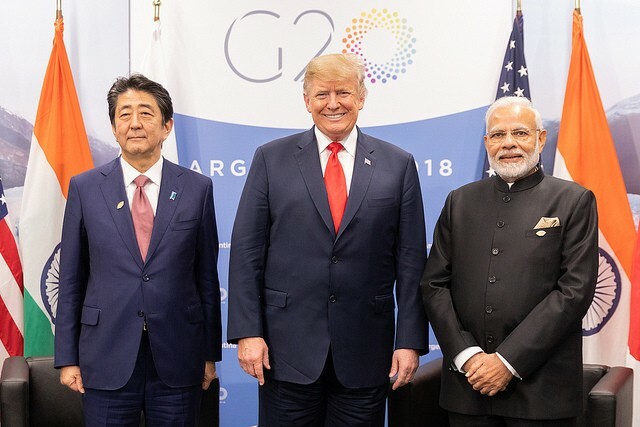 The G-20 provides a structure where the developed countries can interact with the emerging economies and amplify and distribute the advantages of development. Over the years many activists have considered G-20 to be under Western influence and superpower nations and absolutely insensitive to poor countries. The non-governmental members are restrained from participating in the global policy making process. Holding G-20 summit is a costly and complex process due to multiple meetings between countries and simultaneous interaction with subsidiary engagement groups. Increasing Socio-economic disparity between the nations leads to unease in decision making which is added on by incapability of some G-20 nations to keep up economic globalization. It can be safely concluded that G-20 is certainly beneficial for identifying economical goals and achieving them realistically. But at the same time it is important for the G-20 structure to become more transparent and accountable and hence improve global governance.